Veronica is an experienced performer. Her versatility and professionalism along with her pure voice, creates an effortless experience that will enhance any special occasion. When you hire Veronica to perform for your wedding you do not just hire a singer, you have a professional, hard working, friendly musician that will organise and nurture the music to add that extra something to the most important day of your life. Veronica is passionate about her performance and ensures every wedding ceremony is given the utmost attention that it deserves. From the moment you book to the moment you leave the Church as a happily married couple, Veronica will look after your musical needs and communicate with you to make sure that all you have to worry about is whether the Child of Prague will give the good weather! Her versatility allows for flexibility when it comes to accompaniment for your special day. Veronica offers self-accompaniment on piano, or can arrange extra musicians to add the perfect soundscape to suit your tastes. Send an enquiry through with your style of ceremony and your date and Veronica will reply and get the ball rolling for you with the music preparations. 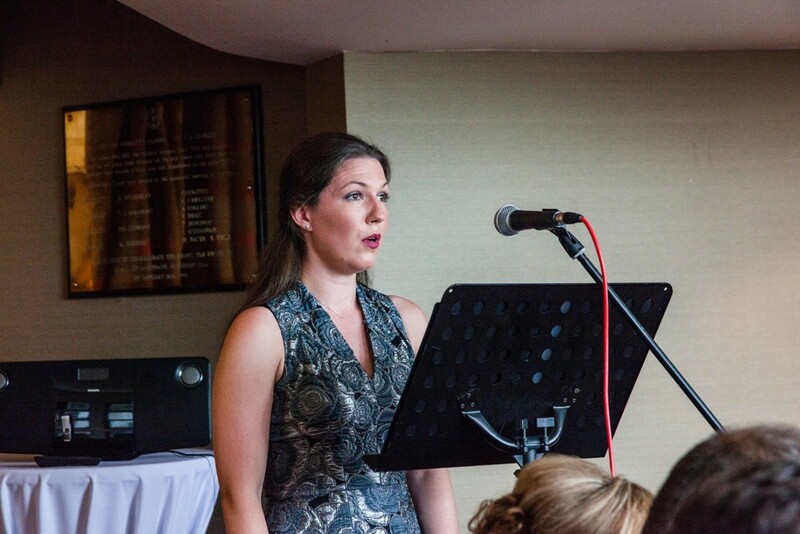 Veronica Tadman is a Female Wedding Ceremony Singer in County Cork servicing weddings throughout the local area including all of Munster. Veronica Tadman is a professional Female Wedding Ceremony Singer that has been part of the Female Wedding Ceremony Singers industry since 2005 specialising in Classical, Sacred, Popular. Having heard Veronica's music before, her wonderful addition proved one of the most anticipated parts of our wedding ceremony in the run-up to the big day, as well as one of the highlights now that we have time to look back. After a relaxed consultation over coffee, Veronica was able to put together a beautiful musical program that reflected our personalities and values. The music drew huge praise from our guests as a seamless combination of traditional and secular pieces, encompassing several languages and themes. We were impressed by the range of packages Veronica presented, featuring a diverse range of repertoire, instrumentation and arrangement, as well as her overall professionalism and expertise. We can only give her the most glowing recommendation, and greatly look forward to hearing her again. Thank you Rob, for such a glowing review. I really enjoyed performing the contrasting repertoire that you and Nicky chose for your very personal and moving ceremony. I wish you all the best for your future. 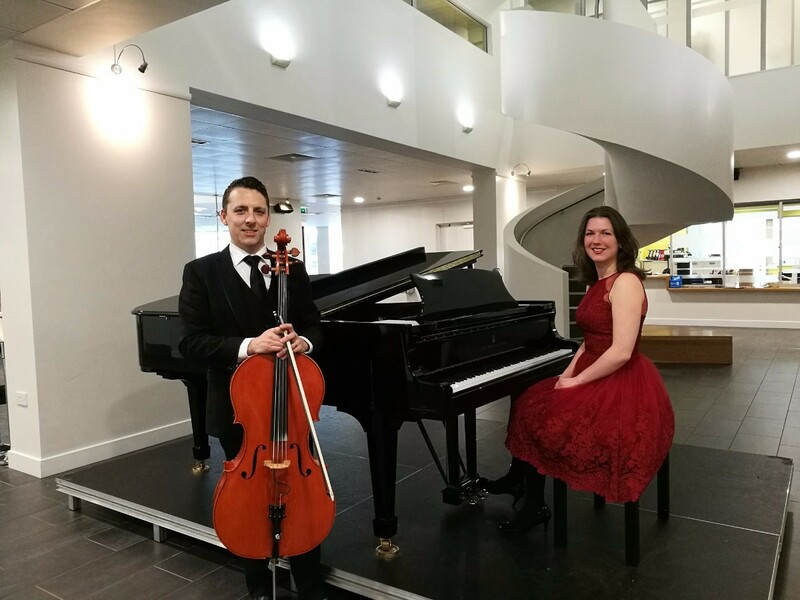 Thank you Suzanne and Jamie, it was a wonderful ceremony in such a magnificent venue that it made performing your appropriate repertoire for your day extra fun and special. I wish you all the best in the next chapter of your lives together. Thank you Sarah, it was a pleasure performing such personal choices for your wedding ceremony. You were brilliant for us, totally professional with a beautifully performed repertoire, we couldn't have asked for more! The wedding as a whole was amazing but that part of the day was considered a massive success, mainly down to you. I know my family really enjoyed and appreciated it. Thank you again for making our special day even more special!!! All our guests enjoyed the ceremony and complemented on your singing!!! I wish we had a videographer so we could have a recording of the songs and music... I've just had a look at your FB and listened to The Song of Ruth, it's so lovely...! Veronica sang at our wedding ceremony a number of years ago in Gougane Barra Church. We were absolutely delighted with the service she provided. She met us a number of weeks before the wedding to go through our requirements and choice of hymns and songs for the day. Nothing was too much bother for her and she was really easy to work with. Her beautiful singing both in English and Irish was perfectly delivered and as soon as we met her we knew that part of our special day was in safe hands. We would have no hesitation in recommending Veronica as a singer for a wedding or similar occasion. Thank you & Danielle for the amazing musical performance at our wedding ceremony. I was delighted with the selection and performance of all. Wishing you continued success in all that you do and accomplish. Thank you Johanna! Danielle and I enjoyed performing for your wedding ceremony tremendously. All the best for the new chapter. I cannot recommend Veronica enough, she is amazing and so talented and she made our wedding so special. Veronica was so helpful in helping me pick out songs and was always at the other end of the phone. We had such a variety of music for our wedding from Amazing Grace to Ed Sheeran. She's just fantastic. Veronica thank you so much for all you have done. Thank you Carol for such a lovely review. Performing for your ceremony was the least I could do and I was only too happy to help create the best day for you and your family. When you are in your early thirties, you go to a lot of weddings and hear a lot of singers. Without a doubt, Veronicas performance at a recent ceremony was one of the best I have had the pleasure of hearing. Her vocal range, control, dynamics and beautiful tone of voice really shone. I would strongly recommend her to friends and strangers alike. Thank you so much for this wonderful review! I thoroughly enjoyed preparing and performing for Lisa and Ross' wedding on New Years Eve and I am delighted that this came across for the congregation to enjoy. I hope I have the pleasure of performing for another wedding that you may attend soon. Veronica was a perfect asset to our humanist wedding! She was so easy to work with and a fantastic performer. Her extensive experience, artistry, diverse repertoire of music, and willingness to learn new music for our wedding made everything come together seamlessly. Her singing and piano playing are second to none! Music is really what carries the whole ceremony and Veronica does a beautiful job. 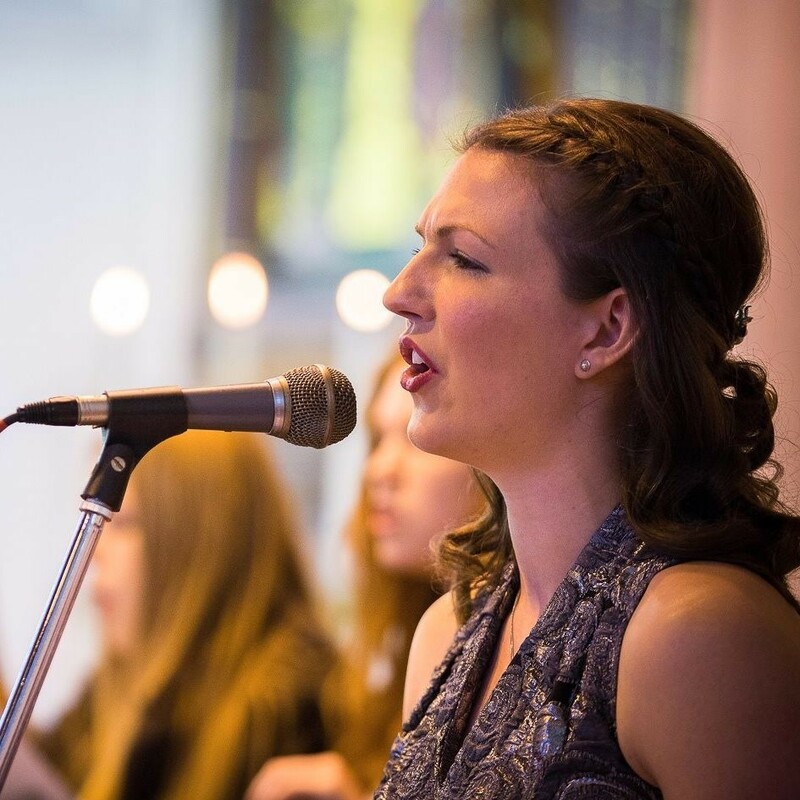 We highly recommend her to anyone who needs music for a wedding or any occasion. Hi Keely and Jason, thank you so much for the wonderful review! It was a pleasure to perform for you on your special day, and I really enjoyed learning the music that you requested and it was an honour to make your humanist ceremony special with the personal song choices. 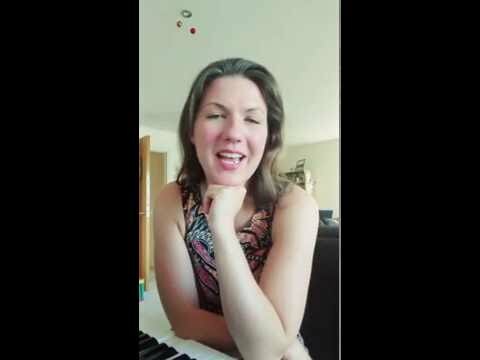 Veronica sang for our wedding and she gave us goosebumps, she talked with us on the run up to our wedding about the music and we were delighted with her on the day. Veronica is very professional and enjoys her job and you see that in every performance. Veronica was so helpful and obliging with our choices of music. She performed a beautiful duet with another singer as the bride walked up the isle and there wasn't a dry eye in the church. She is a professional pianist as well as a singer and no request is too big. A wonderful experience for all involved. I was recently married in August 2014, Mallow, Co.Cork. I got Veronica's name from a friend and found her great to work with. I had trouble picking out music as I wanted some different songs from the usual ones and I found her very helpful and good with suggestions. She was great at keeping in contact and giving advice about musical equipment i.e microphones! I was clueless! She was quite reasonable and on the day did a great job, sang beautifully and everyone was impressed. I would recommend her without hesitation. Thank you Edel for your review. You wedding was a wonderful occasion and it was my pleasure to be able to be apart of it. All the best for the future, Veronica. Veronica provided the church music for our wedding in July this year. We got married in County Offaly, however had the added difficulty of arranging the wedding from London. Via the wonders of modern technology Veronica talked me through all the song choices we would need to make and suggested suitable pieces for each part of the ceremony. Veronica even checked our ceremony booklet for us prior to print to ensure all musical aspects were covered. 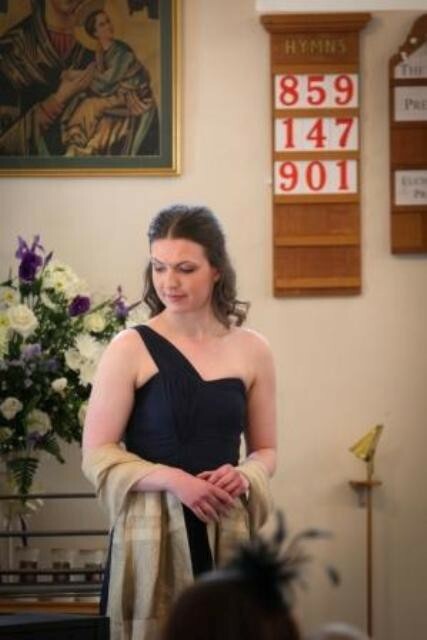 Veronica recommended an organist whom she had performed with in the past to accompany her (and arranged the booking on our behalf) and travelled to Offaly to practice the week before the wedding whilst we were still in London. The music for the ceremony itself was beautiful, our guests commented that Veronica was one of the best musicians they had heard at a wedding and how her voice added to the ceremony without being overbearing. Unfortunately even a July choice of wedding was not enough to keep the rain away and resulted in everyone staying in the church for an additional twenty minutes at the end of the ceremony – Veronica just continued to sing without any prompt more stunning song choices – something I am hugely grateful for! 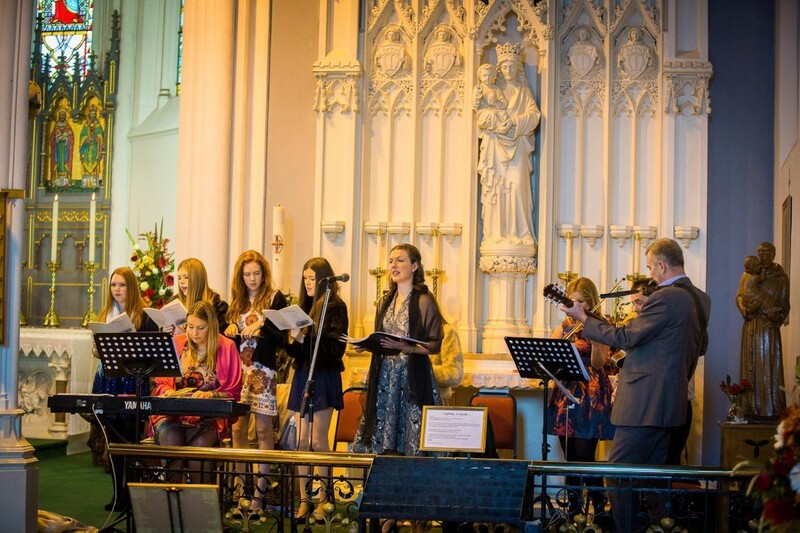 The outstanding memory for me was Veronica singing At Your Side by The Corrs – a long time personal favourite of ours at the end of the ceremony whilst we left the church as a married couple. 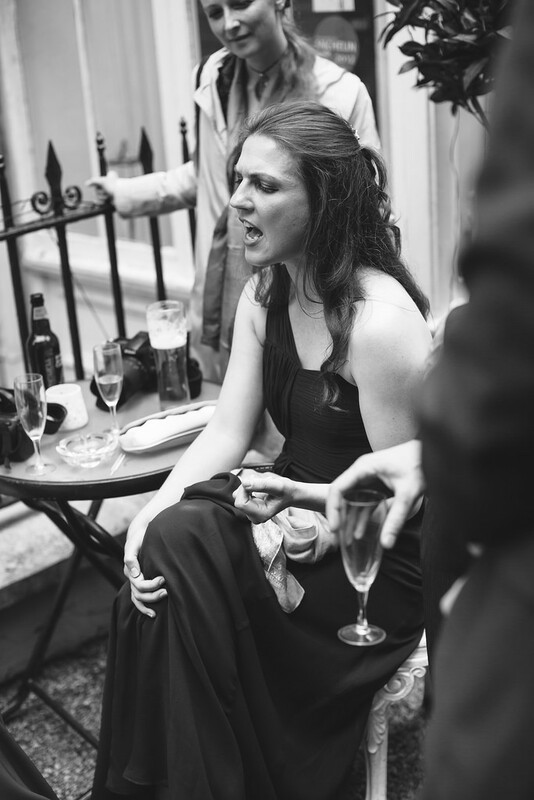 In short Veronica provided a hugely professional service with advice at every step of the way and most importantly our guests really enjoyed her performance. Her extensive experience enabled us to make song choices which were personal to us, whilst also fitting for a Church service. Veronica was a pleasure to work with and we thank her for making our ceremony so memorable for both us and our guests. Kerrie I am so grateful for your kind words. I am truly touched by this appraisal. It was a delight to be able to share in your special day and to perform such a diverse program of music. I wish you all the best to you and Micheal. Veronica. Review by Catherine Sheahan, Skibbereen, Co. Cork. My wedding was in August 2011 and I heard of Veronica through a previous wedding. I found her great to deal with, very easy going and helpful with picking out songs for the church, what would be suitable and how long they were. What music would go where in the mass leaflet, was also a bonus! On the day, she was very professional and the music was excellent, it was a large church but her voice had no problem to fill it! I would have no problem recommending her. Thank you Catherine for your review. Your wedding was beautiful and it was a pleasure to be able to perform for your special day. Veronica.